Egg allergy is one type of unusual reaction from the immune system to certain foods, in this case, eggs. The allergic reactions produced can range from mild to deadly (anaphylaxis). Egg allergy can occur since children are babies and generally disappear before they reach adolescence. Egg allergy is one type of allergy that is commonly found in children, after allergic to cow's milk. Symptoms can appear shortly after several hours after the child consumes eggs or foods containing eggs. Allergy to egg white is the most common when compared to egg yolk. Egg allergy occurs because the immune system considers egg protein to be a dangerous object for the body so that the body's antibodies respond by releasing histamine, and other chemical compounds. This body response causes allergic symptoms, such as rashes and itching. Allergies can come from proteins that exist in yellow or egg whites only but some come from both. In other words, a person can experience an allergic reaction to proteins that come from egg yolks only and have no problems with egg whites, or vice versa. Adults generally have allergies to egg yolk. Babies who are still breastfeeding generally have egg allergy from breast milk from mothers who consume eggs. This is because of the digestive system of the body that has not been formed perfectly at the age of children and infants that causes allergic reactions often occurs. Besides age, the risk of allergies is also greater for children who have one or both parents who have a history of allergies. For example itching or eczema, hay fever or rhinitis, and having parents who are allergic to eggs, or suffering from asthma. Other risk factors are people with atopic dermatitis, namely eczema that often appears on the folds of the skin. 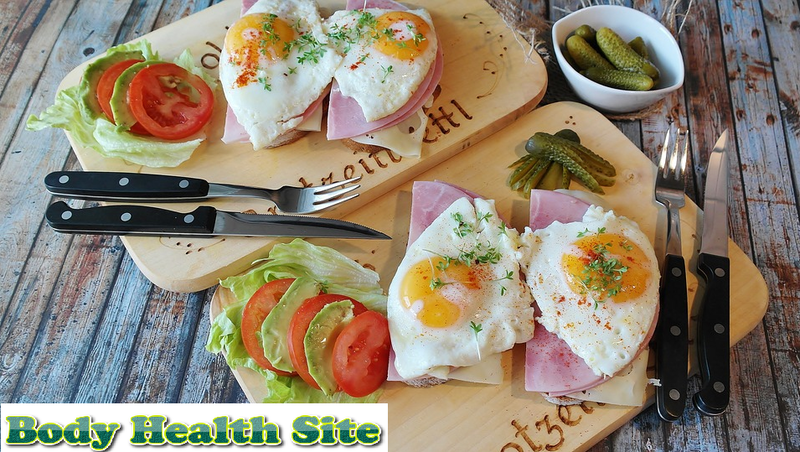 Some symptoms of egg allergies that can be identified are hives, inflammation or rash on the skin, stuffy nose or a runny nose and sneezing, stomach cramps, nausea, and vomiting, or other symptoms of digestive disorders. Allergy to egg whites can also cause symptoms such as pain in the abdominal area and diarrhea. Allergic reactions that are similar to those of asthma, namely wheezing (difficulty breathing causing a sound like whistles), coughing, chest pain, or shortness of breath can also arise due to this condition. Pain or cramps in the abdominal area. Narrowing occurs in the airways, which is a lump in the throat, or a swollen throat making it difficult to breathe. Experience shock so that blood pressure decreases and causes dizziness or loss of consciousness. It is best to see a doctor immediately when an allergic reaction occurs to facilitate the diagnosis process and prevent complications. Doctors will usually prescribe epinephrine injections to patients who are at risk of experiencing anaphylaxis to be injected as soon as the allergy attacks. Record the symptoms that are felt, whether directly related to your condition or not directly. It is best not to take drugs containing antihistamines before the examination because there is a possibility that the doctor will do an allergy test. Prepare a list of medicines or vitamins that are being drunk and the questions you want to convey. Through the symptoms that are delivered, the doctor will then ascertain whether the child is truly allergic and not intolerant to foods that are not related to the immune system. Blood tests to measure the body's immune system response to eggs through the number of antibodies present in the bloodstream. Put a small amount of protein contained in the egg onto the patient's skin. An itchy lump will appear on the skin surface which is used as a test area if the patient is proven to have an egg allergy. Give patients a small number of eggs to eat and see if an allergic reaction appears. The number of eggs can be added gradually to observe the allergic reactions that appear. 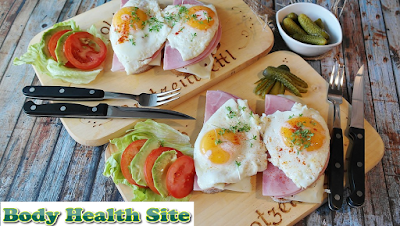 Suggest patients to have a complete food diet diary, then gradually remove eggs or other food from the list while observing the symptoms that appear. Children who suffer from allergies are not advised to undergo a strict diet without the supervision of a dietitian. An allergy test is a test that should only be done by a doctor or allergist. Don't try to do an allergy test at home, especially if the patient has had a severe allergic reaction before. Drugs that are often given to reduce symptoms of mild egg allergy are antihistamines. This drug can be given after the patient has consumed or been exposed to the egg, but not to prevent an allergic reaction or to be used against a severe allergic reaction. Epinephrine injections are given to treat a more serious or severe allergic reaction, namely anaphylaxis. In addition to epinephrine, patients also need to be taken to the hospital immediately to make sure allergy symptoms are completely gone. Some egg allergy sufferers generally still tolerate some foods that contain cooked eggs, such as cakes containing eggs. But there are also patients who have serious allergies to eggs so the only way to treat allergies is to avoid eggs or products that contain eggs. However, most children who suffer from egg allergies then succeed through this stage of allergies as they get older. Discuss with your doctor about the frequency of allergy tests that can be done to check the development of the egg allergy suffered. The skin becomes susceptible to allergic reactions, such as atopic dermatitis. Allergies in other foods, such as nuts, soybeans, and milk. Allergy to pet hair, grass pollen, and dust. Asthma ultimately triggers the development of severe allergic reactions to eggs or other foods. The term for processed foods starting with the words "ovo" or "ova" is generally produced with a mixture of eggs, for example, ovoglobulin or ovalbumin. Egg white has four proteins, namely ovomucoid, ovalbumin, ovotransferrin, and lysozyme. Egg yolks also have several antigens that can trigger an attack reaction from the immune system, namely livetin, phosvitin, and apovitilin. Other terms commonly found, namely lecithin, globulin, albumin, and vitelin. Be more careful when you eat outside the house. Ask and confirm beforehand to the waiter or chef about the content of the ingredients in the food you want to eat. Read the label on the food packaging carefully. Some egg allergy owners can react even if there is little egg content in food. Avoid consuming eggs for nursing mothers who have children with egg allergies. Like the food and drink, you consume, protein from eggs can also enter through the milk that the child will drink. You can replace eggs with substitutes commonly used to process food, including tapioca flour, potato flour, apple sauce, and soy lecithin. Also, discuss with your doctor or nutritionist about other egg substitutes that are safe for consumption. Use a special bracelet or necklace for allergy sufferers, especially children with severe allergies, so that people around you can remind and help choose safe foods. Inform your relatives and caregivers about allergies and what to do when an allergic reaction appears. Some types of vaccine injections also have protein content from eggs, so the risk of triggering allergic reactions in allergic patients, such as vaccines for flu/influenza, measles, mumps, and rubella, and yellow fever. Some types of vaccines have a small protein content of eggs so if necessary, they should be given under medical supervision and after going through allergy testing. Although other vaccines are safe for patients with egg allergies, you should continue to discuss with doctors the types of vaccines that are safe or dangerous to use. Your doctor may take an allergy test before giving a vaccine to prevent an allergic reaction. 0 Response to "Egg Allergy"